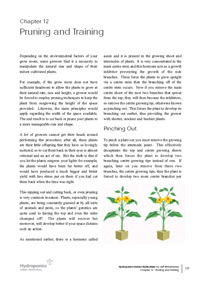 Chapter explains the pros and cons of pruning and training, dispelling current myths of stripping plants while encouraging the use of cutting back and pinching out plants, if environmental factors dictate. Using 3 dimensional CAD rendering, it explains fully the procedure and effect of pinching out and training plants. 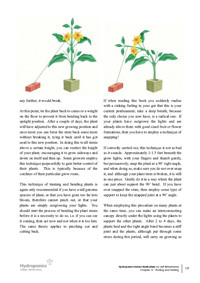 The chapter concludes with a rarely performed snapping procedure which is now becoming a popular method of controlling the height of plants.